I'm very pleased with the performance of the OB11-3. The reports have been very good, including several "you're the strongest on the band" comments. 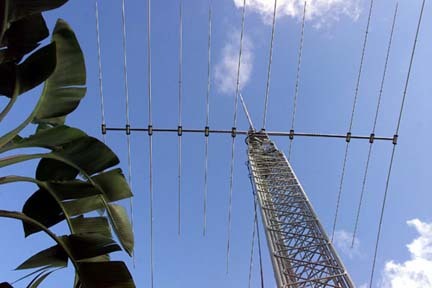 I've never had a square boom antenna before so the realtest will be when the next tropical storm (or hurricane) blows through. I'm happy with the Optibeam. Glad you liked my little web page! He has taken pictures of every step, very informative and professionally done.